Up to now, our monthly mini-calendars followed the same start day as the main planner. That worked well for those of you who wanted to start both on Sunday or both on Monday. However, some customers wanted to start their weekly planners on Monday and their mini-calendars on Sunday and they couldn’t. Until now. 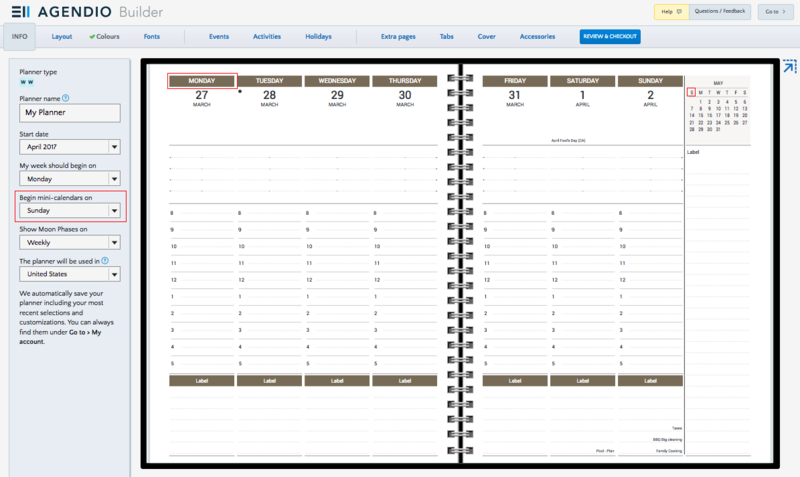 As of this week, you can select start days for each of your layouts and for your mini-calendars independently! Look for the selection dropdown on the info (first) screen of the builder, choose your day and you’re good to go.